It is generally recognized that kids eat too much junk food. And experts warn that eating too much junk food is one of the factors that have contributed to the current childhood obesity epidemic. But do you know how to recognize junk food? 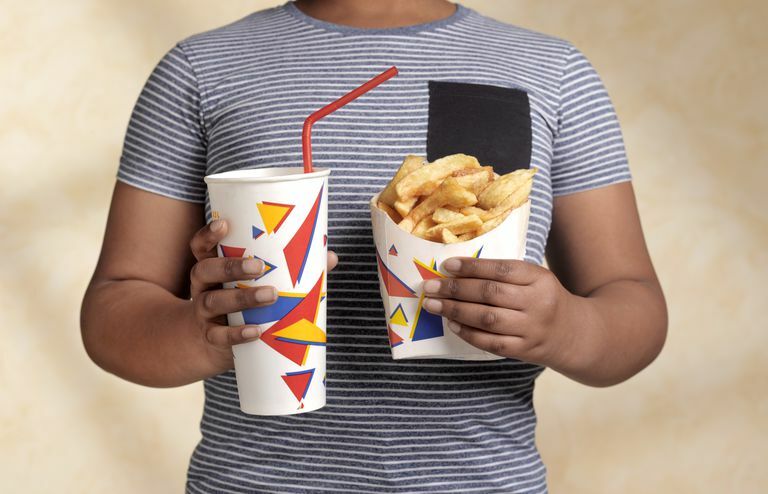 Parents can usually recognize most junk food, such as candy, cookies, donuts, sugary breakfast cereals, ice cream, soda, and fruit drinks, but they often overlook other junk food that kids eat every day. In addition to foods and drinks with a lot of added sugar, it is important to keep in mind that junk food can include foods high in salt or any energy-dense (high calorie) food that doesn't also having some nutritional value (empty calories), such as fiber, vitamins, and minerals, or protein. Junk food can include almost any high-fat or high-sugar food or drink and foods high in salt. Junk food is like many other things—you often know it when you see it. You can also check the ingredients list of the food to spot many forms of junk food. In general, if one of the first two ingredients is either oil or a form of sugar, then it is likely a junk food. The presence of high fructose corn syrup in the ingredients is also often a tip-off to a food being a junk food. One of the biggest dilemmas for some parents is recognizing when a food with some nutritional benefits is also high in fat or sugar. Is it still a junk food? A milkshake, for example, is usually high in fat but would be a good source of calcium. Because low-fat milk is a readily available source of calcium without as many calories or as much fat, a milkshake would still be considered junk food by most people and should be only an occasional treat. You don't have to avoid all junk food all of the time though if you don't want to do so. The food pyramid even allows for some discretionary calories that we can all use to eat some "luxury foods," including those with fat or added sugar. Keep in mind that most people's allowance of discretionary calories is very small, about 130 calories for a 5-year-old and 290 calories for a 10-year-old. People often overdo it—getting too many calories each day. The key to eating these junk foods is moderation. So only let your kids eat them occasionally. And when you do, get them small portions (small fries or kiddie-sized milk shake, for example). Centers for Disease Control and Prevention. Overweight and Obesity. Contributing Factors. Institute of Medicine. Fact Sheet: Nutrition Standards for Foods in Schools.